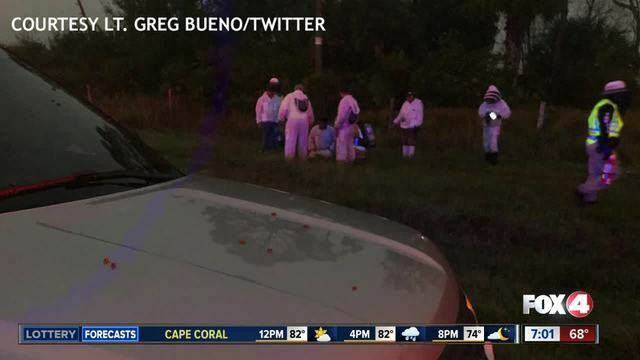 Troopers are urging drivers to avoid a section of State Road 31 in Charlotte County after a bee truck overturned. 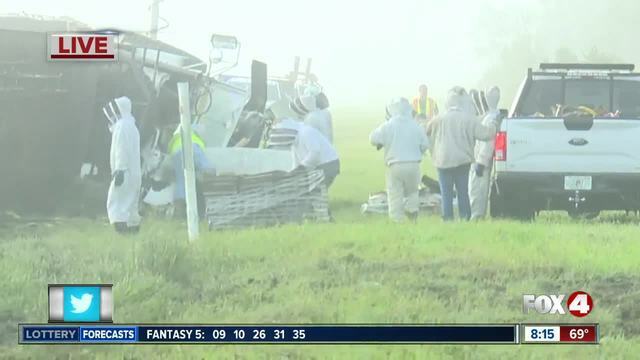 CHARLOTTE COUNTY, Fla. -- Troopers were urging drivers to avoid a section of State Road 31 in Charlotte County Tuesday morning after a bee truck overturned. According to Florida Highway Patrol, the truck overturned just south of Bermont Road early Tuesday morning. Troopers say the bee truck was headed southbound on S.R. 31 and had to swerve to avoid a northbound dump truck that was attempting to pass another vehicle. S.R. 31 was completely closed while crews cleaned up the scene and avoided the swarming bees. Traffic is now open in both directions. Troopers also say Bermont Road is closed due to a fatal crash just east of S.R. 31.